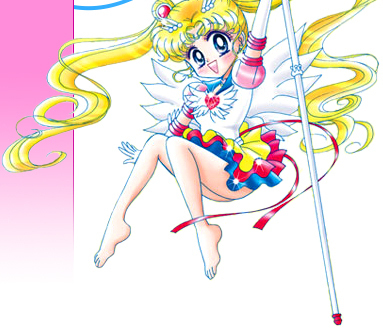 The cover for this first Sailor Moon SuperS DVD starts a fresh new look for this season, departing from the cosmic stars of the previous season and replacing it with more of a surreal dreamscape background with Super Sailor Moon in the foreground. 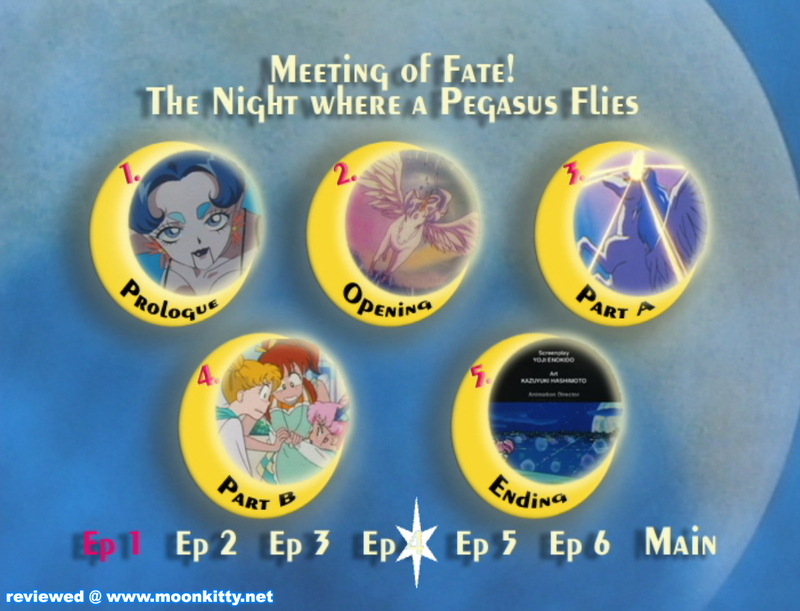 The back of the cover features selected images of the episodes on this disk around a basic description of the story-lines and a listing of the disk's contents. It's all laid out very well and looks really well done. 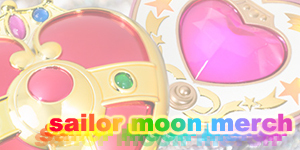 The "Special Reversible Cover" features Super Sailor Chibi Moon and her guardian cat, Diana against a nicely designed pink and purple theme. 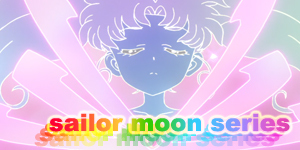 Personally I chose the main Super Sailor Moon cover but it was a close call as both look great. Now this is more like it! 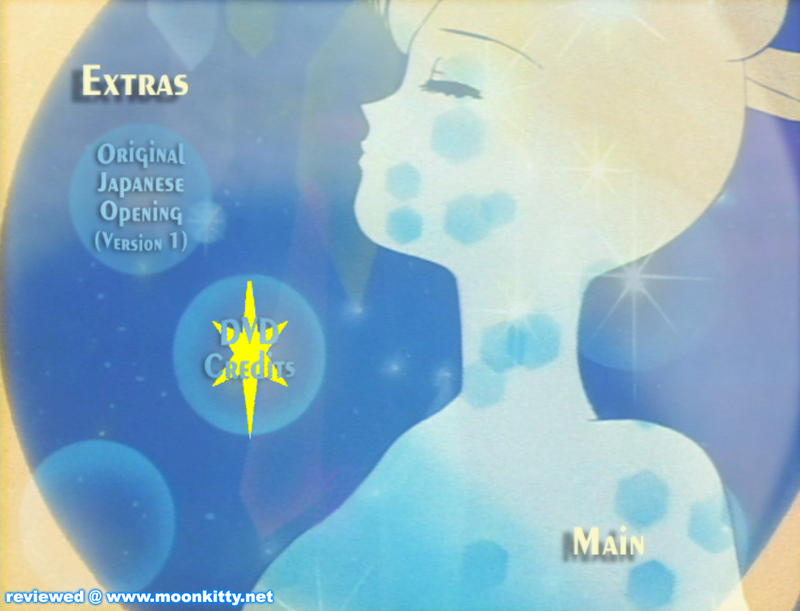 While I liked the concept of the Sailor Moon S Heart Collection DVD menus, the overall image quality of the graphics used was very poor and kept the menus from looking as fresh as they should have. None of those problems here though! New season and new DVD menu style! 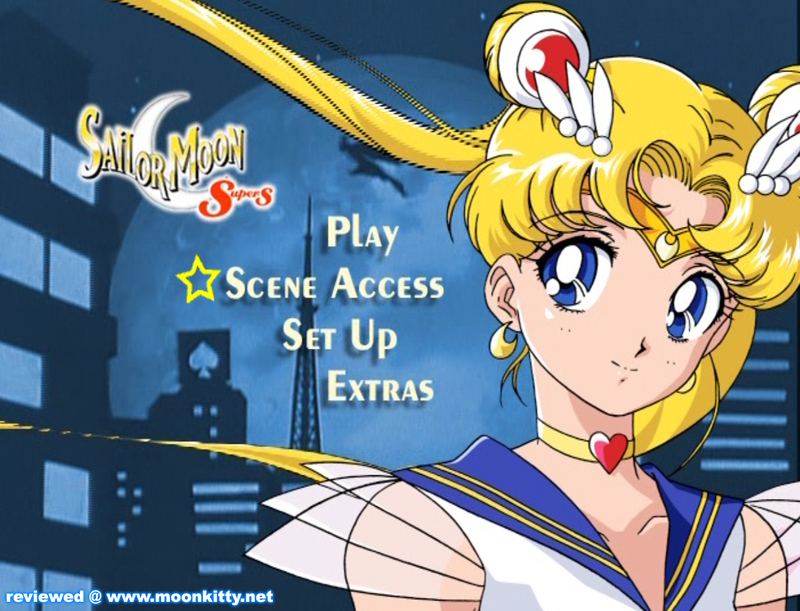 The designers behind this DVD menu made the great decision to use a very high resolution image of Super Sailor Moon taken from the DVD cover for the menu design and it looks great! 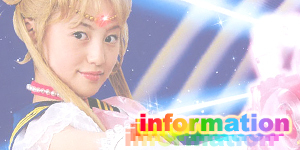 The image has been slightly animated (i.e. her hair flows in the wind and she winks occasionally at the viewer) to add that extra something and with the background animation featuring footage from the opening credits running behind her I found myself simply watching the menu play for several minutes until it looped. 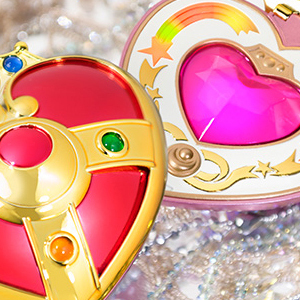 The transitions have also been improved with this release with the simply shot of Super Sailor Moon and Super Sailor Mini Moon's skirts spinning past each other from their transformations to reveal each menu. Everything loads very quickly and the whole look is easier to navigate especially the Scene Access menu which now has the chapters in a neater order and with numbers. Unfortunately the Extras on the DVD really let it down. 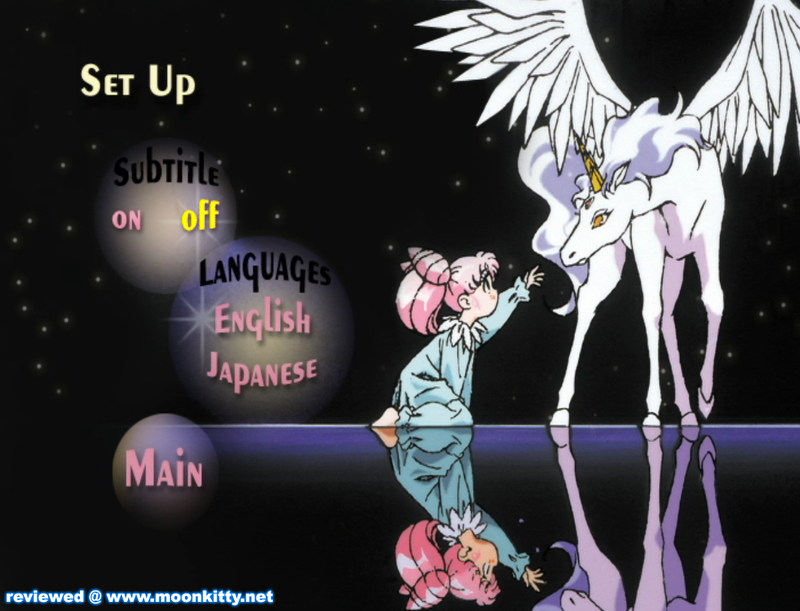 The only thing we get here is the first Japanese opening credits which is quite interesting in itself as it wasn't used in the episodes on this disk but when seen by itself it does look a bit cheap. Surely they could have added some image galleries at the very least. 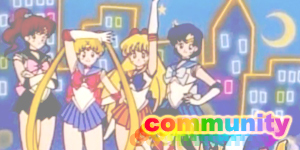 Sailor Moon SuperS is a rather fun season of the Sailor Moon anime and these first six episode set up the main plot points and establish the new characters very well. 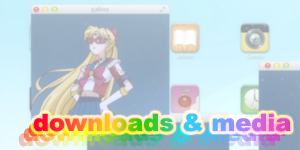 All episodes are offered in both the original Japanese language (with or without English subtitles) or English. The English version of the episodes on this disk sticks fairly close to the original version with all the new characters keeping their original names and the dialogue being spot on almost all the time. 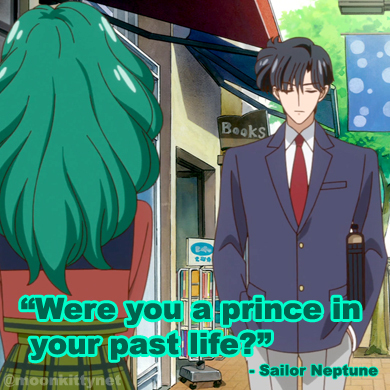 The only critique I would have would be Sailor Moon's new voice actress who took over the role in the previous season is still a bit over the top but overall she's finally starting to settle into the role and isn't so bad as to make me switch over to the Japanese track. 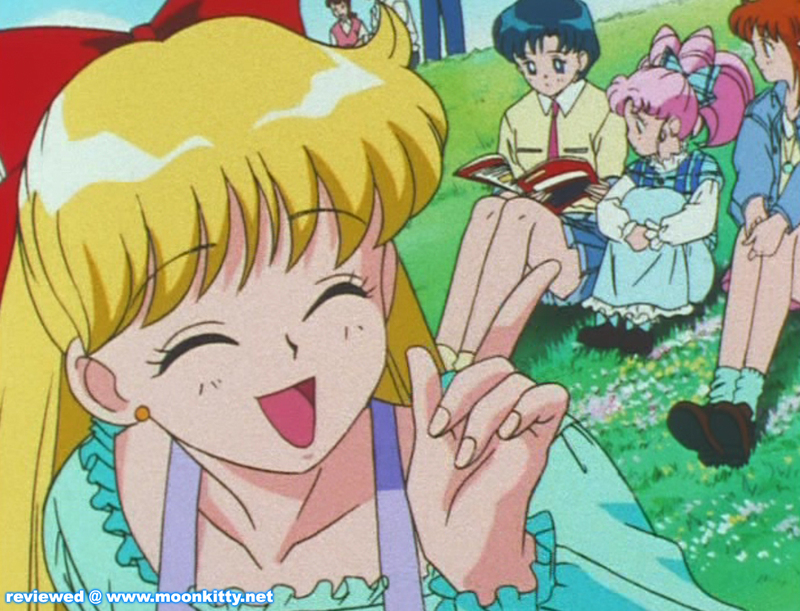 As for the episodes themselves, longtime fans of the series will love them (I did anyway) as all of them focus on supporting characters that have been with the show since the first season though had never really been given an episode of their own. The first two episodes, Dreams Take Flight and No Ordinary Horsepower focus on Andrew and his sister Lizzy (Elizabeth) and show us a bit more about what's going on in their lives and their dreams for the future. 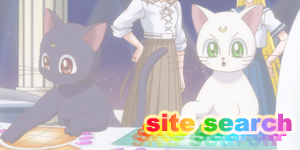 Sweat Dreams finally gives Serena's mother a moment to shine and is also the episode which gives us several new transformations and attacks! Baiting the Trap is dedicated to Molly and Melvin and reaffirms that they are in fact a couple and meant to be. The final two episodes introduce new "characters of the week" as a way to give us insight into more established characters. Perfect Couple uses two friends of Darien to show the viewer exactly how much Darien cares for Serena and also shows us just a bit more about Darien's life (good to know he has friends outside of Luna and Artemis) while Much Ado About Kitten introduces a Nun which leads to some character moments for Artemis who has never really been explored as a character. 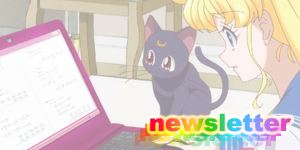 This episode also of course features the first appearance of his and Luna's future daughter, Diana! Many fans don't like the "filler" nature of SuperS but personally I found these episodes and the disk as a whole a very rewarding experience.